My name is Kristy Cappelli and I will be a junior at Redlands High School in California. I am on my school's cross-country and swim teams, and I compete in Academic Decathlon. Math is a favorite subject of mine, and I look forward to applying my mathematical knowledge and learning to a future career in medicine. 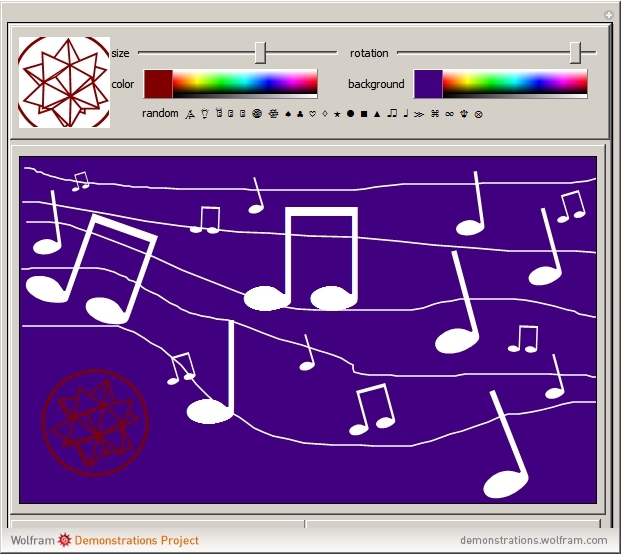 The Demonstration I created emulates a paint program. In it, you can drag your mouse across the board to use the pen tool and click to place stamps around the board. I also made it so that size, color, rotation, and background can be altered.